Why did he feel the need to defend it? Well, the success of The Blind Side inspired some backlash — opposition to movies in which “a white lady comes to the rescue” of those in need, as if down-home American white folks are the world’s saviors. And the marketing campaign for The Good Lie certainly makes the movie look like one of those. He’s not alone in sticking up for the movie. Over at Rotten Tomatoes, film critics are (at this writing) rewarding that film with many favorable reviews: It’s up to an 85% positive rating. Why am I telling you this? I haven’t even seen the movie. Well, I’m glad to see these positive reviews because they are very timely. The folks promoting the new “Christian movie” called Left Behind are working hard to demonize those who criticize their movie, saying that film critics are just prone to “persecuting” Christians, and that their reviews are about prejudice instead of discernment. 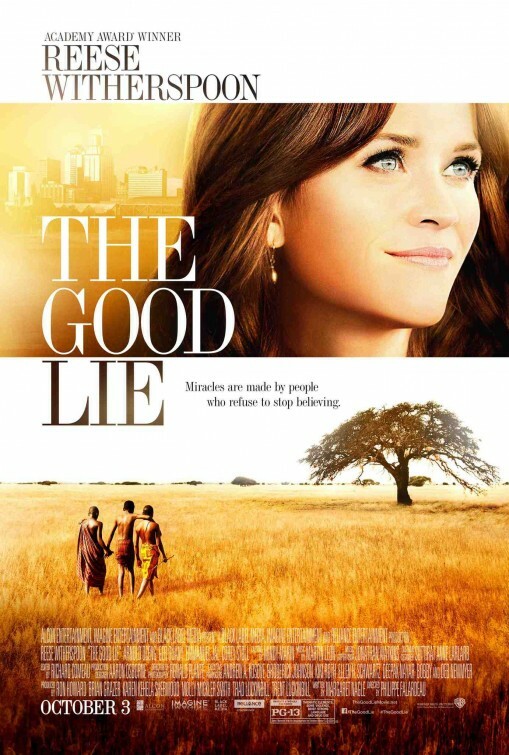 The good reviews for The Good Lie, in which the central Sudanese characters are Christians, call such a claim into question. Decent filmmaking earns supporters across worldviews… even if the film features Christian characters prominently. Even if the film blatantly engages Christian theology. Even if it’s made by artists who are Christians. That complicates the Left Behind supporters’s argument. Some of the fans posting on Left Behind‘s official Facebook page have even gone so far as to announce that critics who find fault with the film will be… you guessed it… Left Behind. Is it possible to be a follower of Christ and still have some reservations about the craftsmanship of a so-called “Christian movie”? Is it possible that critics of the film might be motivated by concerns about artistry rather than a hatred for Christians? Shouldn’t artists care about what critics of their work might have to teach them? Or should we only listen to “yes-men”? Is Fandango, a ticket-selling service, a trustworthy source of critical discernment about films? If fans of the movie have been rallied to vote for the film, while those who don’t like the film haven’t been urged to do so, and there has been no oversight to make sure that those numbers represent a fair sampling of the public, are those numbers a fair assessment of the film’s quality? Are the raves of fans who have just exited a movie theater as useful to us as the reflections of critics who have studied the film, held it up to the standards of the art, and done the hard work of interpretation and critical assessment? Don’t the scriptures exhort us to “test all things” and to “dwell on” “whatever is excellent or worthy of praise”? Don’t they include proverbs about how wise men will heed instruction? If I am to understand the Left Behind promoters’ marketing and missives, what matters is this: If you do something in the name of Christ, it is apparently automatically excellent, even if those who have devoted their lives to the study of the discipline call the quality of your work into question. Christians should seek to test their work against the highest standards of any medium. They should welcome constructive criticism, because we serve a God who creates with a standard above all standards. And don’t you suspect that if those same critics — the ones that the Left Behind team had scorned — would have complimented the movie, that those compliments would be plastered all over the Left Behind posters and promotions? Suddenly, those critics would be recognized as having credibility. Almost all of Christianity Today‘s film critics — including Jackson Cuidon who wrote the Left Behind review, and including the chief film critic who edits CT’s film and television coverage — are freelancers. Many of its writers across all subjects are freelancers. During the decade that I was a monthly, even weekly, contributor to CT’s movie coverage, I was never an employee of CT, nor was I a “guest blogger.” I was a freelancer. (And nobody merely “let me” write things; they paid me to write things.) All of these folks have been chosen and approved by Christianity Today‘s editors. And those other movies that Lalonde mentions as being “trashed” by a “guest blogger”? Those titles have also been widely panned by film critics — Christian or otherwise — primarily in terms of filmmaking craft, not for the theology at the heart of them. Those films have a lot of vocal defenders, but those defenders are, generally, talking about theology, not filmmaking excellence. You can have rock-solid theology and still express it in a terrible movie. I’m quite sure that CT’s Jackson Cuidon is aware of other films based on Christian theology that he would not trash — films he might even highly praise. Most critics could name some. By the way, if Christianity Today isn’t responsible for that review — if it was just the work of some rogue “guest blogger” — why did Alissa Wilkinson, chief film critic for Christianity Today, post this follow-up article defending the review? And why did Andy Crouch, executive editor of Christianity Today, endorse the review and praise both Jackson Cuidon and Alissa Wilkinson on Twitter? When the Left Behind producers and fans start implying that those who criticize the movie are anti-Christian… well, that flies in the face of clear evidence. The Good Lie, starring Reece Witherspoon, is only the latest example. Look at Of Gods and Men, which earned Oscar attention and earned a 93%… 93%!… positive rating at Rotten Tomatoes. 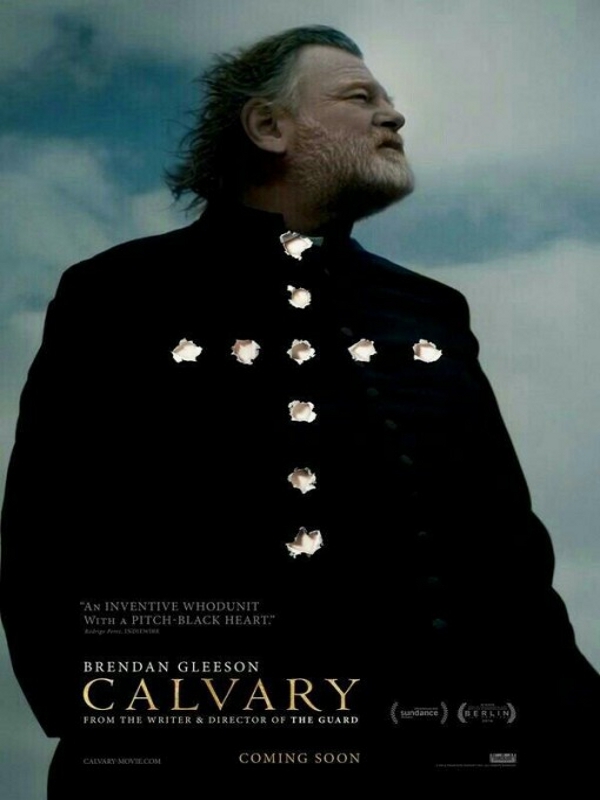 Look at the film called Calvary which is still playing in some theaters: It’s received Oscar buzz for Brendan Gleeson’s leading performance as a devout follower of Christ whose life is a brilliant picture of the gospel. The movie has been widely praised, and I expect it will show up on a lot of top ten lists at the end of the year. On television, Rectify is one of the most acclaimed series currently running. (Read this and this.) It portrays Christian characters with deep sympathy, and Scott Teems, one of the chief writers, is a Christian. Look at the films of Terrence Malick — like The New World, which consistently present perspectives that blatantly and deeply represent Christian faith. That earned a nomination for Best Picture, and Roger Ebert named it among his top ten favorite films of all time. They’re among my all-time favorites as well. Look at the films of Scott Derrickson, which have earned high praise in the horror genre, but which affirm Christian beliefs and focus on the reality of spiritual warfare and the overwhelming power of Christ. I’m a big fan of Sinister and I admired both The Exorcism of Emily Rose and Deliver Us From Evil. Look at the favorable reviews for films based on the work of C.S. Lewis, J.R.R. Tolkien, and other great Christian artists. Martin Scorsese is making a film called Silence, a profound novel about Christian missionaries, written by a Christian. Do you expect critics will almost unanimously pan that because of an anti-Christian bias? We’ll see. 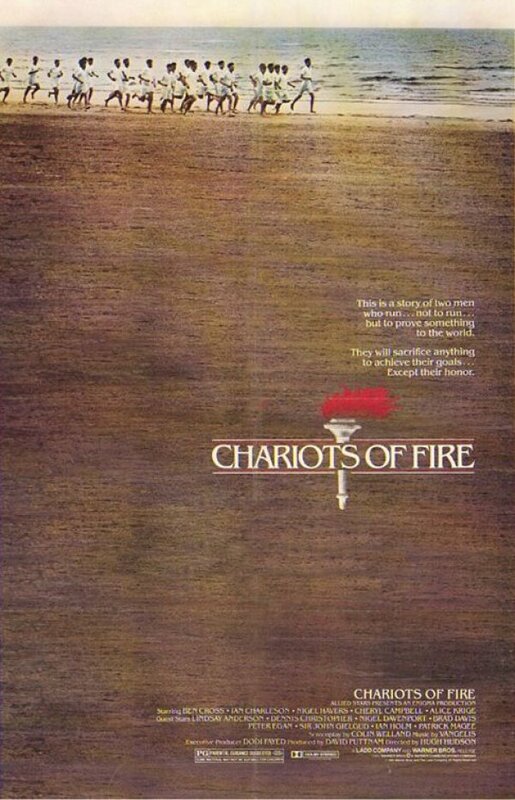 Look at the Oscar-winning Chariots of Fire. Classics like Babette’s Feast and, going back farther, Ordet. Look at how many of these films reflect Christianity and are legendary in film history. Look at the not-so-blatantly religious films coming from Pixar, films that celebrate Christian values. Some of Pixar’s most prominent directors and writers have publicly professed Christian faith. I could go on and on, listing examples to the contrary — films made by Christians, and films that reflect visions of Christian faith — that have been praised, even revered, by students of film around the globe, across the decades. Faith-related art that demonstrates true artistry will not be almost unanimously panned by critics. Imagine what would happen if those pouring their church resources into preachy, low-quality projects were actually to give even 20% of those resources to a world-class filmmaker, writer, or musician. Meanwhile, most Christians I’ve met who have grand imaginations and amazing artistic gifts struggle just to feed their families, and spend most of their time doing jobs to pay the bills that take away the time they might spend crafting something that could change the world. The best lack all necessary resources, while the worst are given millions of dollars to make the disposable, the forgettable, the mediocre… and congratulate themselves for being blessed by God. And do you know what the scriptures say about confusing money and applause for “God’s blessing”? I’m sure that there will be some in the Left Behind camp eager to post comments telling me that I, too, will be Left Behind for writing such things. Of course, I might welcome such a conclusion. Because if I read my Bible right, the story of Noah’s flood, which originated the “left behind” phrase, is saying that it is the wicked who will be taken away by the calamity they have brought upon themselves… and that God will do a great work of restoring the earth for all of those who are… yes… left behind. If you wish to comment on this post, send your comment to joverstreet@gmail.com. I reserve the right to publish and respond to any that I find particularly interesting. But it’s a very busy time right now, and I will probably not have time to follow up on more than a few.